Meet the inventive personality behind Saffron’s culinary creations and all Thai cuisine for Banyan Tree Hotels and Resorts: Chef Renu Homsombat! Chef Renu’s journey to becoming a chef began at a very early age, when Renu loved to join her mother in the kitchen of the small family-owned restaurant in her hometown . With her passion for cooking stimulated, she developed her skills and repertoire over the years to become an acclaimed chef appearing at international food festivals, and preparing dishes for Michelin-starred restaurants. She has recently lent her talents to the German Schwarzwaldstube, the longest sustained 3-Michelin Star restaurant in Europe; Conde Nast in New York City; Millesime in Mexico City; the top-class Gourmet & Wien Festival in Rheingau, Germany; the Bangkok Gourmet Festival; and the 2-Michelin Star ECCO in Zurich. Today, Chef Renu’s innovative skills and ardor for her work are reflected in the outstanding dishes Saffron serves every day. She is one of many bright stars in Banyan Tree’s constellation of talent, and makes regular appearances at the many Saffron restaurants worldwide. Banyan Tree Lang Co, VietnamChef Yupaporn ChookarBefore moving to Vietnam, Chef Yupaporn worked in Malaysia and Seychelles. 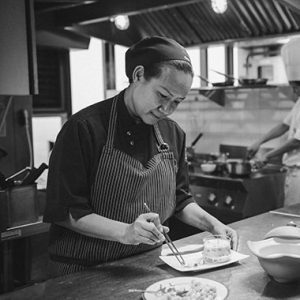 With 21 years of experience "under her belt", Yupaporn is a chef that is very knowledgeable about the fundamentals of Thai food, and knows how to execute each and every dish in a very special way. Banyan Tree Bangkok, ThailandChef Dokfa ChuakhonkhaengChef Dokfa boasts 14 years of experience, and has been part of the Saffron Bangkok culinary team since 2002. She joined our Corporate Thai Chef Renu on food promotions overseas, with the highlight being the 2-Michelin Star ECCO restaurant in Zurich. Banyan Tree Samui, ThailandChef Somchai ChomchuenOriginally from the north of Thailand, Chef Somchai is a young and talented chef with 7 yeas of solid cooking experience. He always loved to spend time in the kitchen, and it is this passion that led him to pursue a successful culinary career. He has been with Saffron Samui since opening. 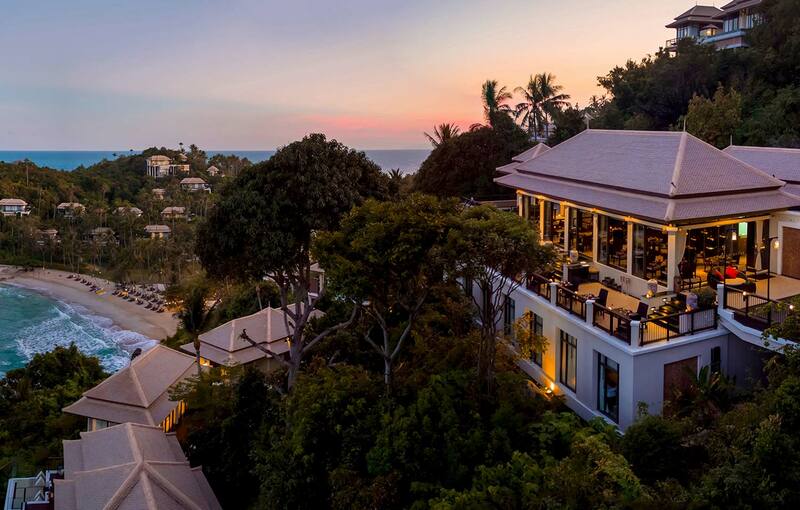 Banyan Tree Phuket, ThailandChef Worapong PanchooA veteran of the Thai kitchen, Chef Worapong has been cooking for 27 years and besides being the Saffron Phuket resident Chef, he has been part of the Saffron pre-opening team in Morocco. He was also invited to hold Thai food promotions and events overseas, including Moscow where he showcased his skills at acclaimed restaurants such as Fahrenheit and Turandot. Banyan Tree Macau, ChinaChef Monnipa RungthongWith 14 years of experience, Chef Monnipa has earned Saffron Macau the Hong Kong Best Restaurant award from Hong Kong Tatler for 6 consecutive years (2013 – 2018), and a Michelin Recommendation listing of must-try Hong Kong and Macau restaurants in 2013 and 2014. Banyan Tree Bintan, IndonesiaChef Pornchai SangprayBringing 13 years of experience to the Saffron Bintan kitchen, Chef Pornchai started cooking at a very early age. With an adventurous spirit, and always looking for opportunities to enhance his skills, he spent part of his working life abroad working in kitchens in Egypt and South Africa. Banyan Tree Tamouda Bay, MoroccoChef Suthipot KaokaewWith 22 years of experience, 5 of which spent in Saffron Mexico before joining Tamouda Bay in Morocco, Chef Suthipot comes from a solid Corporate Thai Culinary background. He is also well travelled, and worked in several countries including his homeland Thailand, China, Hong Kong, Macau, Dubai and Qatar. Banyan Tree Seychelles, SeychellesChef Polsak Intra-O-SotA well travelled, seasoned Thai chef who brings with him 15 years of experience in kitchens in Bangkok, Oman, Maldives and now Seychelles. Having some background of Japanese cooking allowed him to add some delicate techniques to his cooking style. Banyan Tree Cabo Marques, MexicoChef Chitchom ChansongOriginally from the South of Thailand, and with 19 years of experience in Thai cuisine, Chef Chitchom worked in Bangkok, Seychelles and Maldives before heading to beautiful Cabo Marques, in the Acapulco Diamond zone, to showcase her skills and exhibit the flavours of the Thai Kingdom. Banyan Tree Mayakoba, MexicoChef Nattapark CharoenpanichChef Nattapark graduated from the Hotel and Tourism Management School in Thailand and continued his learning at CHN University in the Netherlands, where he acquired an International Hospitality Management degree. With 5 solid years of cooking experience in Thailand and Ras Al Khaimah (UAE), he also brings with him 11 years in the hospitality industry which gave him a comprehensive understanding of what guests expect and look for.